WITH JOSEPH ZEHRER THROUGH TV CORNERS IN BACHELOR APARTMENTS WITH PETER SELLER'S "BEING THERE"
Artist tour and screening as part of the exhibition "Paraphantoms"
„Me and my TV. What is that all about? Joseph Zehrer’s research on the location and status of television sets in the apartments of unmarried men (earlier also known as "bachelors") develops a typology of intimate one-to-one constellations. The single man and his counterpart. 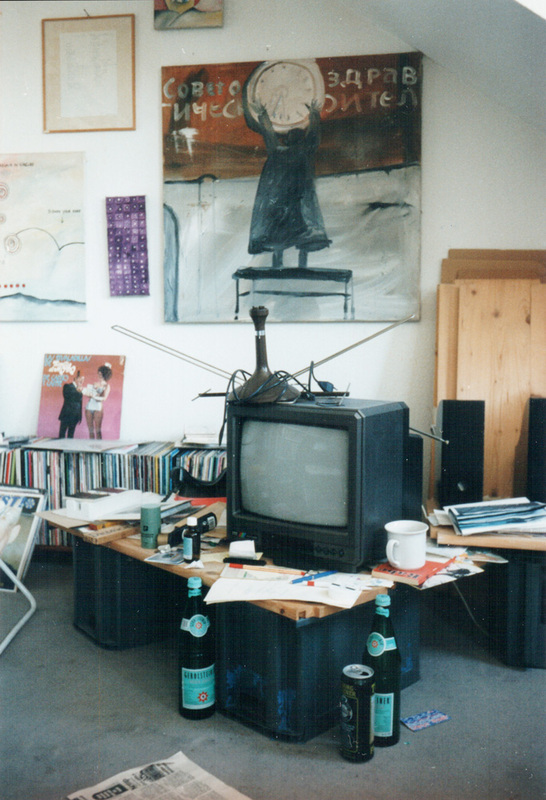 The fact that most of the men Zehrer visited in early 1997 in their Cologne or Berlin homes in order to photographically document their respective TV situations were artists or creative persons in art-related professions induce the viewer of these pictures to speculate about the creative will of the respective bachelors." (Tom Holert, in: Paraphantoms, 2012). Following Joseph Zehrer’s introduction to his "TV Corners in Bachelor Apartments", the artist selected for the screening Hal Asby’s subtle and very angry satire film "Being There" from 1979. In the film, another rather scurrile bachelor appears who has never left his house and knows the world from watching TV only. Peter Sellers scintillates in his last screen role as gardener Chance trying to cope with the new challenges of daily life outside his garden. Joseph Zehrer (Born 1954 in Perbing, Lower Bavaria) is artist and lives and works in Cologne.